You always want to make a great first impression with your clients. Good client portal software is one way to do that. Look for a cloud-based file-sharing solution that offers the best in personalization, security and flexibility. Not to mention a great user experience. A client portal is a Web-accessible, interactive tool on a secure website that is used for file sharing and storage. Your client can use the same link every time to log in to their personal portal, which you can ensure always has the correct version of all their files available for safe, secure access at any time. With the ability to use custom branding to add your logo to the portal, it will look like you really went the extra mile for your customer — even if it only took you a few minutes to set it up. What can this mean for you? Some companies overlook the importance of making a strong impression with their portal software, but it may be time to take notice. The portal is often the first thing users see during an interaction. Here are a few ways the ShareFile client document portal can improve your business, while making life easier for your clients too. How much time have you lost trying to help a client find a document in an email, or discussing a new revision over the phone, only to realize your client is looking at a different version? If your client deletes a single email by accident, that could result in a full hour of lost time on the phone, helping them search for the attachment - or having to resend them your files. With a single point of access using a client document portal, your clients and customers always have one link to access their important files. Likewise, you have full control over what they have access to. Give clients access to last previous year’s tax returns or old project files. Share a quickly growing spreadsheet or a frequently revised presentation deck and you can be sure that the version your client sees is always the most recent, without cluttering up their inbox. Share key business insights but leave out your team’s internal notes about the client’s account. When helping your clients, it’s your responsibility to make sure that everything simply works: not just your business’s core competency, but all the tools and processes surrounding it. And we’ve all been there - searching the for files we know we received without a clue where they could be. The ShareFile client portal takes away that frustration and wasted time. Clients always know exactly where to go to get the files they need. It’s an easy way to meet and even exceed those expectations, resulting in happier customers. ShareFile allows you to add an unlimited number of client accounts at no additional cost, because we don’t want to get in the way of your success. The more referrals you get from your happy customers, the more customers you can service through your ShareFile customer portal, no problem. Our custom branding options, also free of charge, will make you look great whether your business is just you or a Fortune 500 enterprise. Even if you start in a garage and end up in a high rise, the ShareFile client portal will be with you, and your clients, every step of the way. And that's not all ShareFile can do. Besides making things easier for your customers, ShareFile also makes it easier for you to manage your business and secure your data with tools like encrypted email to keep email messages and attachments secure, e-signature software for getting important documents signed, desktop file sync to keep your files up to date across all your devices, and the ability to send big files up to 100 GB. See why thousands of accounting firms, law firms, real estate offices and other businesses use ShareFile for creating client document portals and sharing files both professionally and securely. Try it free! How Do Clients Log Into a Portal? To access or log in to a portal on a secure file sharing site, clients will be required to have active login credentials. Every time you send a secure email or file to the client, they will be alerted via email about the file and given instructions on how to access the file. They will be required to log in and then they will be given a secure link to view or download the file. Why use a client document portal and how is it helpful? There are a lot of benefits that come with a client document portal. You have a tool on your website where you can share files and storage with people in different locations. You no longer have to worry about losing important attachments or having miscommunication between people working on the same project. With a client portal, you only need to make changes once on a document and everyone will have access to the revised version of the file. Additionally, a customer portal improves the efficiency between you and your clients. It is a tool you can use to easily exceed your client’s expectations in any given project. For instance, it allows you to provide a central place where all the important documents can be accessed and also a central point for communication between you and clients. Finally, a client portal is a tool that your business will never outgrow. It will enhance the lifespan of your documents and even after projects are completed, you will have a permanent source of reference in case there are revisions or if you are working on similar projects in the future. Security is a great concern when it comes to file sharing and accessing those documents in client portals. However, portal software provided by reputable file sharing sites are indeed secure. With a customer portal, a party will send a file or a message securely over the internet. The recipient will then receive an email with the details of how to access the sent file. After the client has signed in, they will receive a message to view or download the sent files. Based on the portal or the specific industry, the client may decide to take additional actions such as checking past records relating to that message. How Do You Set Up a Client Portal? 1. 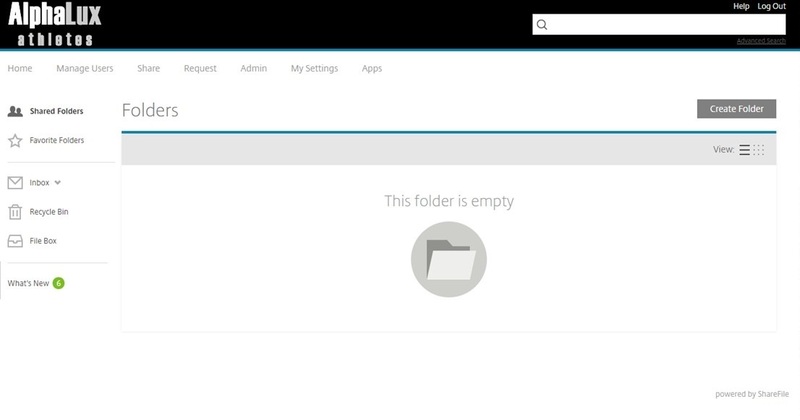 Identify the folders and files you would like your customers to access. 2. Define customer profiles, sharing rules, and roles. 3. Customize the portal with your branding and logo. The actual process of setting up a client document portal will vary from one file sharing service provider to another, but the basics of the set up will remain the same. Will My Clients Want to Use a Client Portal? Most people new to this will think that due to the technical nature of client portals, very few clients may be interested in using it. However, it's a myth that navigating a document portal requires technical skills. In fact, most clients will not have a problem using the portal and will find the platform intuitive. Plus, clients love having seamless communication with your company. Many people prefer not to pick up the phone and call any time they need a file. Clients appreciate the real time updates on projects without necessarily making calls. Client portals eliminate these inconveniences and assist in creating efficiency in the business-to-client relationship.